This year has already been off to a busy start. The warehouse is packed with booster systems, break tank systems, sump pumps, two product trailers and prefabricated houses. By the end of 2015 there were five prefabricated houses being built in the warehouse and as of last week four out of the five houses had been delivered to their designated job sites. 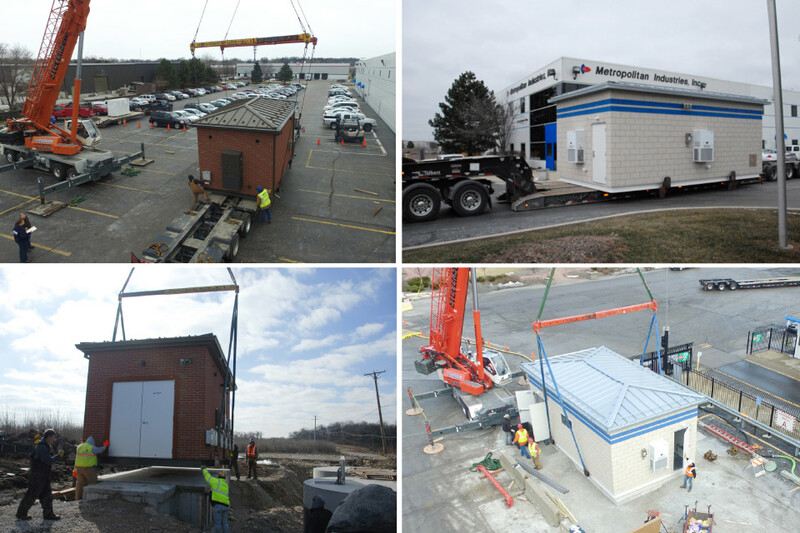 Last month we documented the process it takes to deliver these housed buildings. A crane arrived in the early morning to move three housed booster systems from the warehouse. Two of those houses were delivered while one was loaded on the bed of a truck and will remain in the warehouse until the house is completed. One of the houses was delivered to Route 6 in Joliet. The building houses all of the controls for the station. The other house was delivered to a factory in Hammond, Indiana. This house contains everything from the piping and controls to an eye wash station. The house is unique because it was built with three rooms separating the controls and piping. As the finished houses leave Metro and are delivered on-site, the process begins all over again as many more houses are in the process of being built this year.